Widget for vacation deals in Hawaii. Is there a better alternative to Hawaii Hotel Deals? Is Hawaii Hotel Deals really the best app in Audio category? Will Hawaii Hotel Deals work good on macOS 10.13.4? 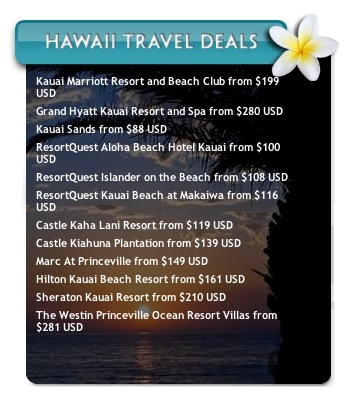 Hawaii Hotel Deals displays travel deals for Honolulu, Maui, Kauai and Kona. Select on back which feed you want to display. Travel deals from TravelWidgets.com which searches 28 sites using the Travelocity search engine. Brought you you by TravelWidgets.com, the most tech savvy travel site on the Internet featuring dozens of widgets and iphone Web apps to help book travel and track the latest travel deals. Book hotels, air, car rentals, cruises and show tickets and activities. Save on air and hotel packages. Have you visited Travel Widgets yet? Hawaii Hotel Deals needs a review. Be the first to review this app and get the discussion started! Hawaii Hotel Deals needs a rating. Be the first to rate this app and get the discussion started!